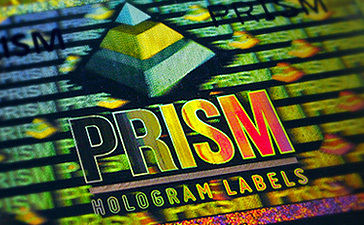 Providing hologram labeling solutions to our broad client base is our primary area of business. We provide our clients with highly effective solutions to meet their branding, authentication, security, protection and packaging needs. Our products are affordable and secure. Have a look at some of our solutions below. Differentiating authentic products from counterfeit products is very important and sometimes vital, particularly for the pharmaceutical industry. Counterfeiting is a serious and widespread problem that requires proactive measures to combat. Securing products with holograms adds an additional layer that counterfeiters will find difficult or impossible to replicate, as a result holographic labels help to build consumer confidence with a product or brand. We use several techniques to make each label production completely unique. Many industries have a need to protect and secure sensitive documents, materials and products. Authentication alone will not do. Often times it is required to know whether unauthorized access has been made into a room or package. Tamper-evident labels provide users with visible and covert markers indicating if access has been made or attempted. We provide several layers of security and protection through the use of tamper evident materials, in-design features, on-label features and value-added features. Controlling unauthorized access to labs and other restricted/membership areas can be done quickly by identifying and verifying legitimate, anti-counterfeit forms of identification, such as holographic stickers on ID cards. A glance at the label will help to verify the ID card as authentic. Holograms are not always used for security and protection purposes. Due to it’s high visibility and visual appeal, holograms are often used on packaging, products, in magazines and books for no other reason than to add style and appeal. We strive to create labels with high visual appeal since this often leads to designs that are very difficult if not impossible to duplicate. In addition to the solutions listed above, we also offer many industries with custom solutions to meet their specific needs. Contact us to discuss your specific needs so that we can custom-tailor a solution for you.